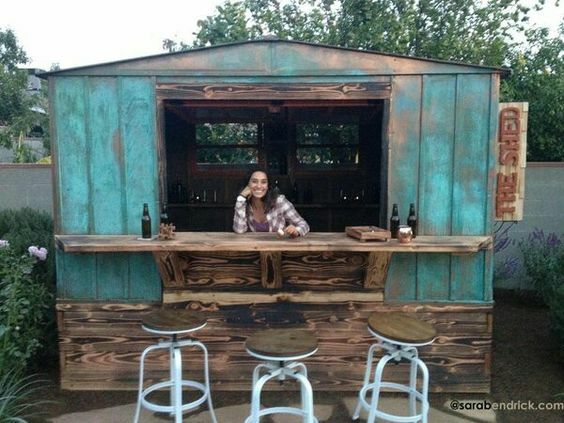 Instead of a Man Cave or a She Shed.....what about a Backyard Bar Shed? Just in time for summer. What do you think? Would this look cute in your backyard for your next BBQ?